It’s easy to lose track of the humanity behind the headlines. After the Dominican Republic Constitutional Court’s infamous ruling retroactively stripped citizenship from hundreds of thousands of Dominicans of Haitian descent three years ago, a complex, highly-politicized crisis unfolded. While many media stories focused on the legalities of the decision, the following vignettes attach faces and names to the people living this nightmare. Being an internationally-known civil and human rights activist doesn’t exempt you from humiliation. 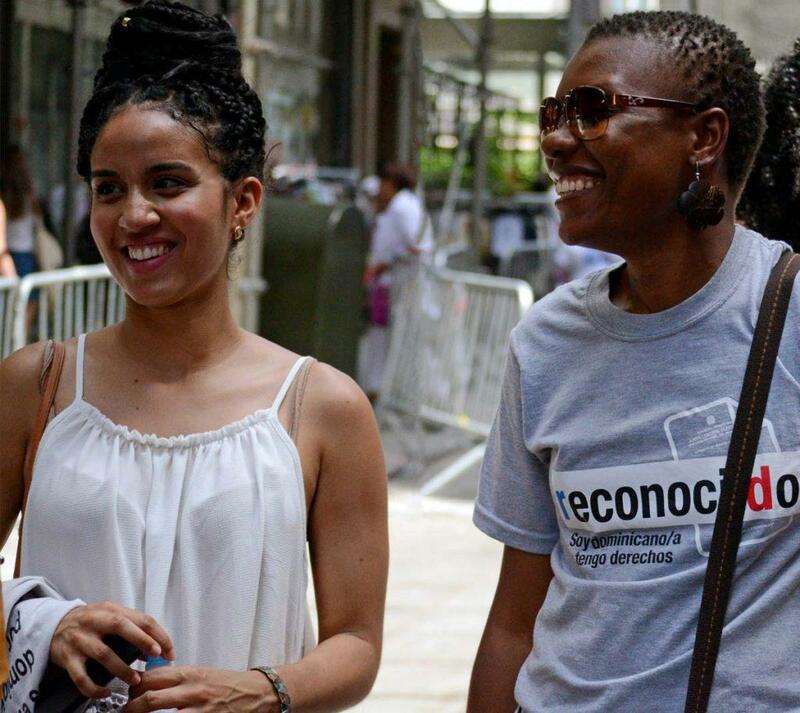 Ana Maria Belique—founder and coordinator of Reconoci.do, a movement of thousands of Dominicans fighting to have their nationality and full citizenship rights recognized by the government—found herself under the same awful scrutiny other Dominicans of Haitian descent have faced since the ruling. This summer, while traveling for work, a bus attendant demanded to see her cedula, or national ID card. Ana Maria said with or without documents, those of darker skin are usually the ones targeted at military checkpoints—but even then, civilians don’t have the authority to ask people for identification. The bus attendant claimed he was trying to avoid “problems” at checkpoints. 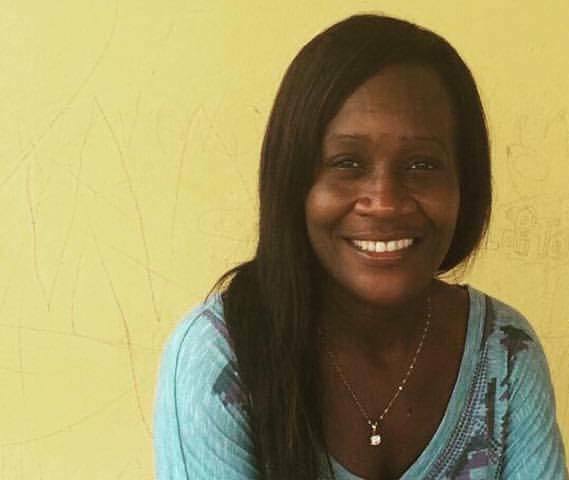 Segregation is alive and well in Dominican society, Ana Maria said: “There are communities where Dominicans of Haitian descent, black people, can’t leave safely—especially in the areas along the border because they fear expulsion or deportation. After the 2013 Dominican court ruling, Ana Maria was classified as a member of “Group A”—Dominicans of Haitian descent who were previously documented as citizens. People like Ana Maria, who were already in the Dominican Civil Registry book, were told their nationality would be restored automatically. 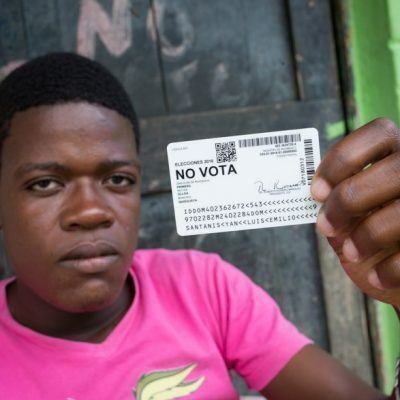 But the nation’s electoral board leader then “created a new registration book just for Dominicans of Haitian descent,” falsely claiming they hadn’t been citizens at all, Ana Maria said. 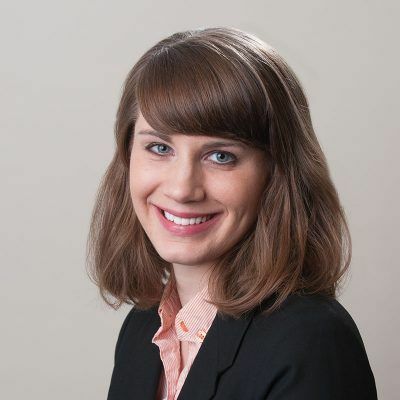 She is among those being sued to have her original registration annulled. He feared it would happen eventually. 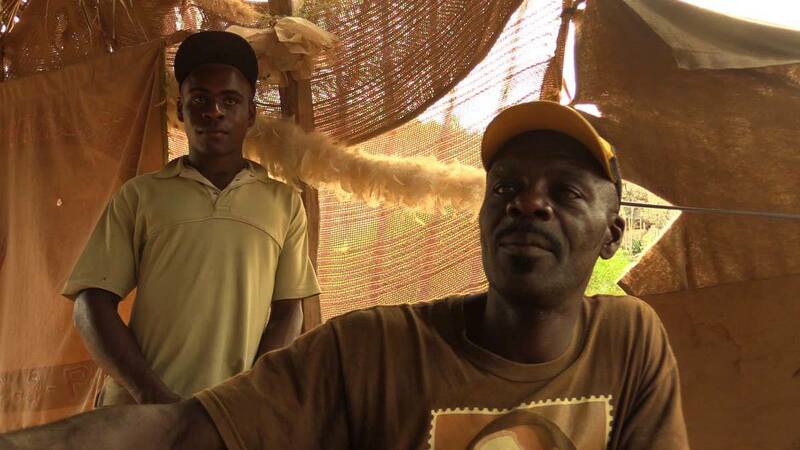 It’s not safe for people like Felix Marcel to travel outside of the sugarcane plantations, the bateyes—because in the eyes of law enforcement, they are illegal. One day, on a long bus trip with his church group from Los Jovillos Batey to San Juan de la Maguana in the western part of the country, his fears came true. Police stopped Felix’s vehicle at a military checkpoint—and pulled him out. Although he had committed no crime, the police detained him. Lawyers got wind of the arrest and had to locate him and bail him out. “Moving around on his own was a big risk for him,” said Alba Reyes, coordinator of AJWS grantee CEDUCA (“Center for Education and Development”), which works with youth in Santo Domingo’s bateyes and barrios to help them understand and exercise their rights. The 2013 citizenship ruling stripped Felix of his statehood because of his Haitian ancestry, invalidating his birth certificate, national ID card and voting card. A subsequent law that was supposed to automatically restore his nationality didn’t quite work as promised. Felix, now in his early 20s, also couldn’t enroll in high school or travel the three or four miles to the nearest school that enrolled students without paperwork. He wrestled with fear, self-esteem issues and depression. He knows the citizenship crisis is still paralyzing many lives. 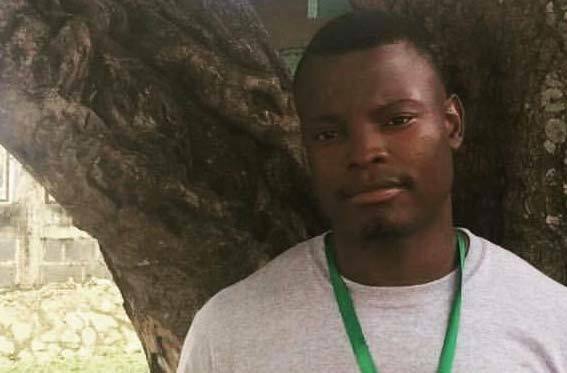 Pierre Paul Eduane, a 27-year-old Dominican of Haitian descent, should have been entitled to Dominican citizenship—but he felt so marginalized in Dominican society as a child that he used travel back and forth to Haiti to attend school. 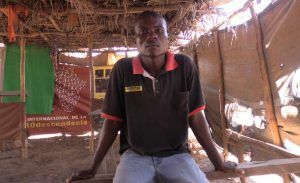 Afraid, Pierre and his family moved to the Haiti border before the citizenship crisis escalated. He has watched other Dominicans of Haitian descent, feeling the effects of the 2013 court ruling, flee in fear of deportation and violence. Pierre, who’s an ordained Pentecostal minister, thinks it’s a shame that young men who could have “been useful to their country” felt they had to leave. “It was done in a psychological manner,” Pierre said, explaining that people of Haitian descent have fears that history will repeat itself. In 1937, long-brewing Anti-Haitian politics led Dominican dictator Rafael Trujillo to order the massacre of tens of thousands of Haitians. Haitians hadn’t wanted to leave the country back then, either, Pierre said, and Trujillo took matters into his own hands. 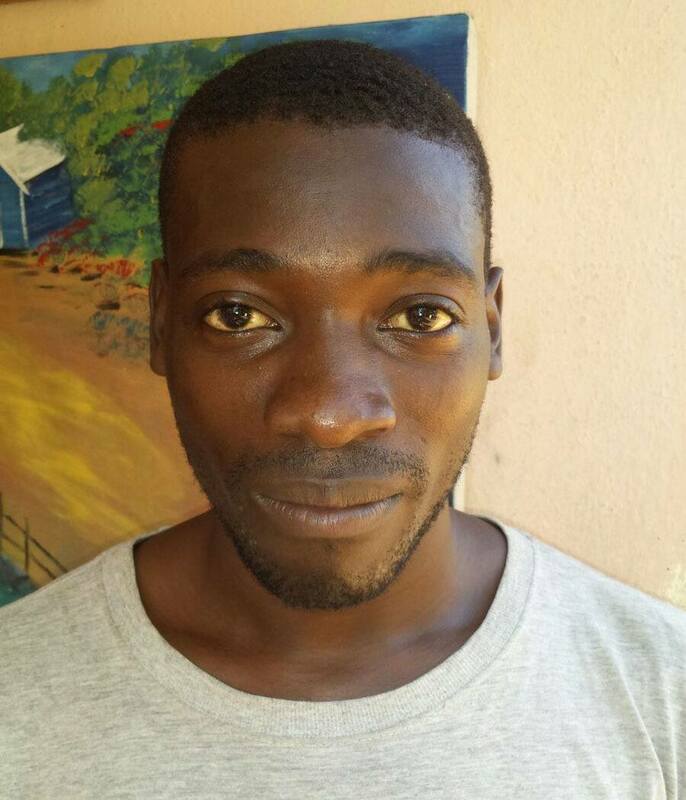 Dieudonne Celui, a Haitian migrant who also fled the Dominican Republic and now lives in the same community as Pierre, left his farm because he was afraid that Dominican government officials, police or neighbors would hurt or kill him or his family. His son, Manuel, who is entitled to Dominican citizenship, followed him to the border. Although their citizenship rights differ, the father and son share the same fears, exacerbated by the aftermath of the citizenship crisis. A few stories have partial happy endings, thanks to the tireless work of local and international organizations to force the Dominican government to address the statelessness crisis it caused. Franklin Dinol’s is an example. But after much perseverance and support from advocacy groups, Franklin eventually received his cedula. And this May, he voted for the first time ever—and even served as an electoral observer, preventing fraud and ensuring elections ran smoothly and ethically. But he’s still thinking about his friends, many of whom are being sued to have their documents annulled. The work of AJWS’s partners to ensure that all people affected by the crisis are able to access their rights is far from over. It wasn’t until this May, when María José exercised her voting rights after receiving her ID card, that she felt human. For 10 years prior, María, who is a Dominican of Haitian descent, was repeatedly denied the national ID card she needed to register for college, obtain a passport and vote. “If you don’t have the right to choose who is going to govern you, then who are you?” she opined. “It’s like we don’t have a flag. A career in sports could be Ignacio Gabriel’s ticket out of the batey his family often stays in. He’s so talented that two Major League Baseball teams—the San Diego Padres and the Kansas City Royals—have offered the teenager contracts to play professionally. But he couldn’t produce the proper identification needed to sign. 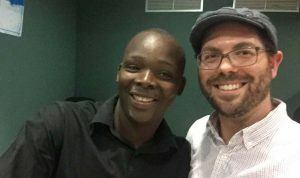 Scarsdale Rabbi Jeffrey Brown, a member of AJWS’s 2015-2016 Global Justice Fellowship, met Ignacio on a trip to the Dominican Republic earlier this year. Ignacio told his new American friend during that visit that even though he was born in the country and grew up there, his parents’ Haitian heritage had prevented him from ever getting the documents that would make him a Dominican citizen. The Junta Central Electoral (Dominican electoral board) repeatedly told him they couldn’t help and insisted that he approach the Haitian Embassy to get his Haitian papers. “But, of course, Haiti does not know that Ignacio exists!” Rabbi Brown said. Problems obtaining nationality documents stunted Juan Telemin’s future for nine years—but now, he’s enjoying more opportunities. After finally receiving his cedula in 2014, he voted for the first time this May—for himself. 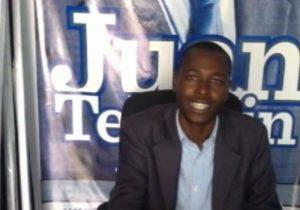 Juan, a Dominican of Haitian descent, ran for mayor of his municipality, Guaymate, in the province of La Romana. He is a member of Reconoci.do, an advocacy organization supported by AJWS. Juan didn’t win the election, but he’s proud of what he did accomplish. And he got a kick out of voting for himself.